Amarillo attorney Ginger Nelson has announced her resignation from the Amarillo Economic Development Corp. to run for mayor. As the talk around town begins to heat up about who may or may not run for City Council and mayor in May’s election, Nelson officially announced her candidacy Tuesday to a full room of friends, family, supporters and media at Amarillo College. “I’ve enjoyed the opportunity to serve our community in many volunteer positions, but I am resigning today to devote my time and effort to running for mayor,” she said. She has served as a board member on the AEDC since December 2010 and her term would have expired on March 31, 2018. City council will address filling Nelson’s AEDC vacant seat at its next meeting. Nelson said her run for mayor will focus on basics, such as streets, transportation, job creation, economic growth and improving public safety. 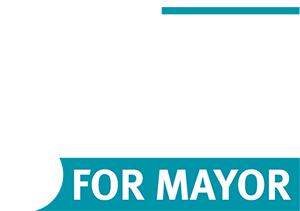 As of Tuesday, Nelson is the only candidate to officially announce an intention to run in the city’s next municipal election. Growing up in Spearman, Nelson said she saw Amarillo as a “shining city on the hill” because of the promise and opportunity it offered. Shemoved to Amarillo in 1995, and since that time she said her view has changed. “If we can come together, and I believe that we can, we can focus on what’s important and we can do the basic things well and provide those essential city services to every citizen, not just one are of town and not just one group of people,” Nelson said.